R.E.Kennedy & C.N.Cooper called a number upside-down number if its i-th leftmost digit and its i-th rightmost digit are complements, i.e., their sum is 10. 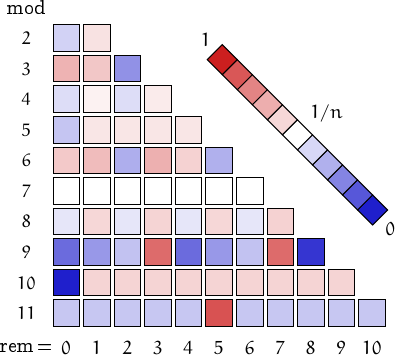 For example, is an upside-down number because . From the definition it follows that upside-down numbers are zeroless and if they have an odd number of digits, then the central digit is 5. 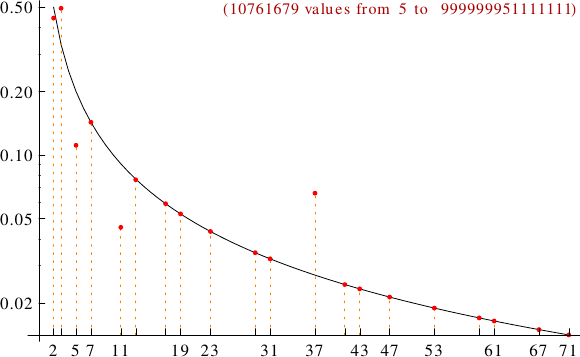 A graph displaying how many upside-down numbers are multiples of the primes p from 2 to 71. In black the ideal line 1/p.